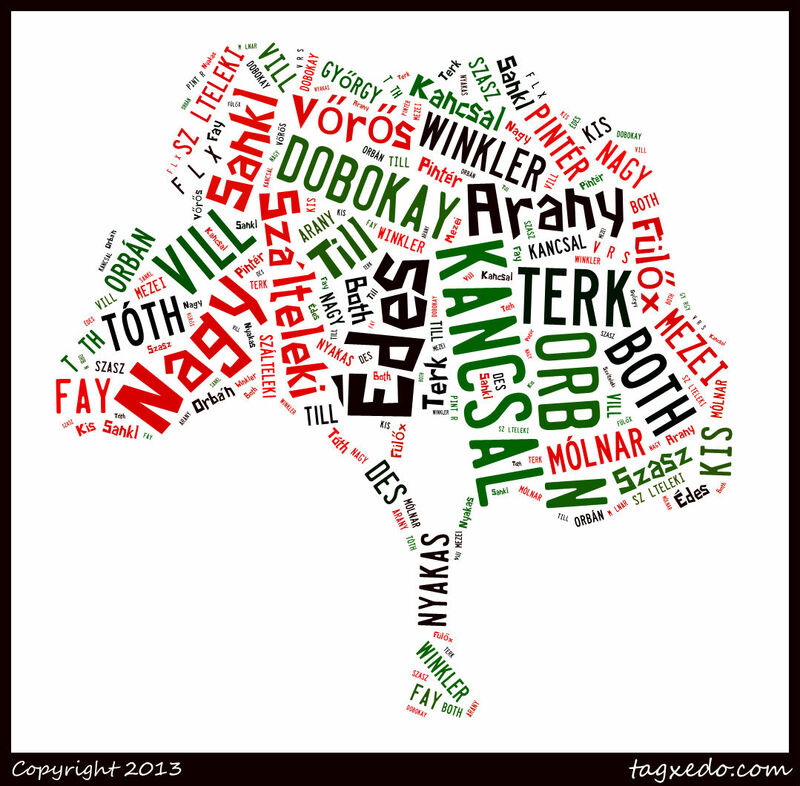 This entry was posted in Genealogy, Nagy, Orbán and tagged Family Tree, Hungarian Genealogy, Kis, Kovács, Mólnar, Pintér, Smith, Surnames, Tóth, top10, Vőrős, Word Cloud by edesorban. Bookmark the permalink. Thanks Nick! Such a fun way to view it. Very cool! Every geneaologists dream! Thank you designers!